RECYCLE - it's good for the environment and for our community. Every time you recycle, you are helping your family, environment, community, and beyond. There are many ways to REUSE in your home and work place. Reusing products which have historically been single use items is a large part of recycling. REDUCE your impact on the environment by following a few simple guidelines to protect our water supply. RETHINK the way you dispose of electronics. They do not belong in trash or recycling cans. 50% of water pollution is from home yard maintenance, landscaping waste, and chemical pollution. Use drought resistant plants, permeable soil, and water conserving irrigation. 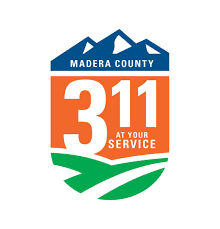 Madera County Website Having Website Issues?